1. 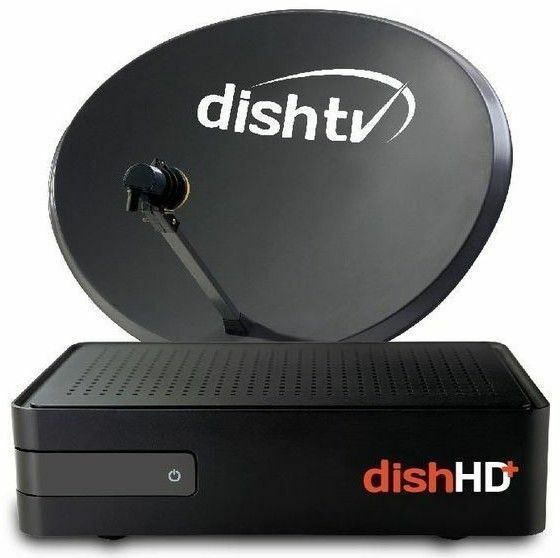 50 Hd Channels- With Dishtv, You'Ll Never Run Out Of Choices. Enhance Your Hd Tv Viewing Experience With 50 Hd Channels Across Various Genres To Suit Your Entertainment Needs. 500 Maximum Channels- Dishtv Offers Maximum Channels In The Category Across Various Genres To Suit Your Entertainment Needs. 2. 1080I Picture Resolution &Amp; 5.1 Surround Sound- With Crystal Clear Picture Clarity, Enjoy Every Detail In High Resolution And Enhance Your Experience. Now, You Won'T Miss Out On The Minutest Detail On Your Hd Tv With 1080I Picture Resolution And 5.1 Surround Sound. 3. Unlimited Recording- Set Your Own Prime Time By Simply Plugging In An External Storage Device (Pen Drive) To Record And Watch At Any Time! Use The Event Based Recording Feature To Record Your Favourite Series Or Use Time Based Recording To Set A Specific Time For The Record Feature To Start. 4. Flexibility To Choose Hd Add-On- Entertainment In Full Control With The Ease Of Flexibility Of Choosing Hd Add-On Packs Which Suit Your Entertainment Needs Best. Choose Your Pack And Enter The World Of Hd Entertainment.